LAS VEGAS, Jan. 8, 2013 – In an announcement at the 2013 International CES, Connected World Magazine has awarded the all-new Ford Fusion Energi plug-in hybrid the midsize Connected World Connected Car of the Year 2013. The all-new Fusion offers the most complete array of advanced connectivity and driver assist features of any mainstream sedan. 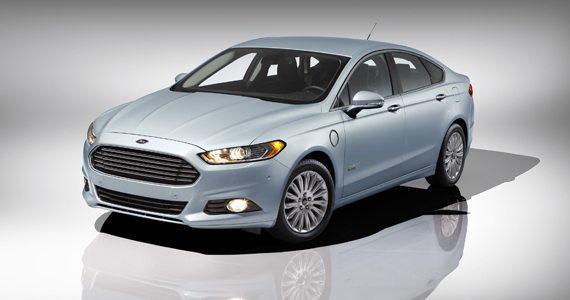 The Fusion Energi plug-in hybrid includes standard SYNC® with MyFord Touch® and compatibility with the MyFord® Mobile smartphone app. The award-winning SYNC connectivity system, available on all Ford Motor Company vehicles enables drivers to connect their phones, tablets and digital media players via Bluetooth® or USB for hands-free calling and media playback using simple voice commands. SYNC with SYNC Services offers a range of services powered by the mobile data connection drivers already have. These services include Traffic, Directions and Information, Vehicle Health Report, 911 Assist and more. The MyFord Mobile app is available for Apple iOS and Google Android.